I am a sucker for coconut. I can’t help myself. I start thinking about it… and before I know it, the crazy for coconut has taken over! 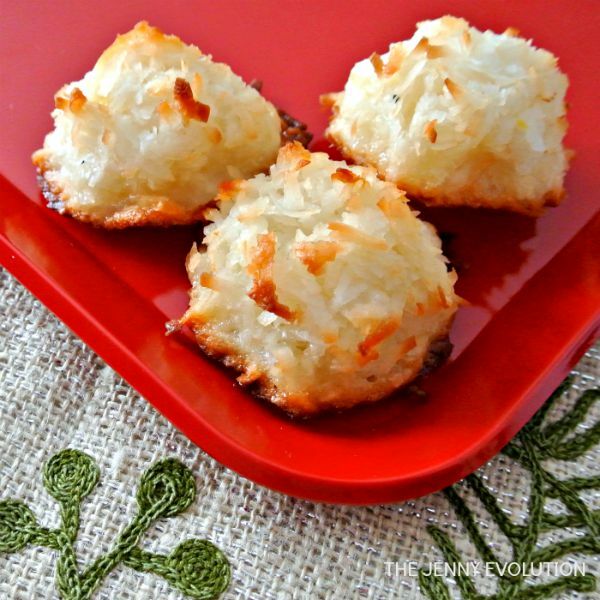 Coconut macaroons are perfect for Christmas cookies or a winter treat. Go on… indulge your senses into these awesome delicacies. This post contains affiliate links. For a stronger coconut flavor and toasted appearance, evenly spread out the coconut on a baking sheet and bake for about 5 minutes. Don’t fully toast the coconut now… when it starts to toast just a bit take it out of the oven. Let it cool for about 5 minutes. Combine the egg whites, sugar, vanilla, and salt with a whisk until it is frothy. Place parchment paper or a Silpat baking mat on your baking sheet. Wet your hands (to help prevent sticking) and shape the cookie mixture into balls. Bake for 15-20 minutes until they are the desired color. The more golden the macaroons, the more toasted they are. If you wanted to get a little crazy, drizzle chocolate or caramel sauce over the coconut macaroons before serving. For a stronger coconut flavor and toasted appearance, evenly spread out the coconut on a baking sheet and bake for about 5 minutes. Don't fully toast the coconut now... when it starts to toast just a bit take it out of the oven. Let it cool for about 5 minutes. Adapted from The Kitchn. And while The Kitchn likes their macaroons super crunchy, I think they should be touched golden brown and still chewy on the inside. Thank you for this recipe. I’ve already have it printed off. These look wonderful! 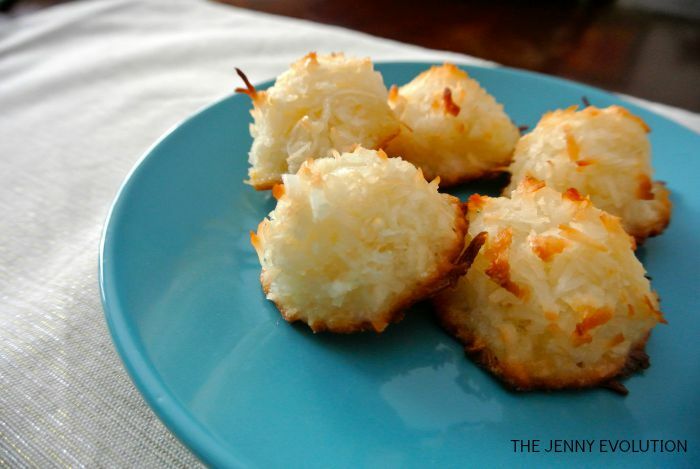 I thought coconut macaroons were difficult to make, so I’ve never tried making them. I’ll definitely be giving your recipe a try. Thanks for sharing at Snickerdoodle Sunday. Pinned and Tweeted. 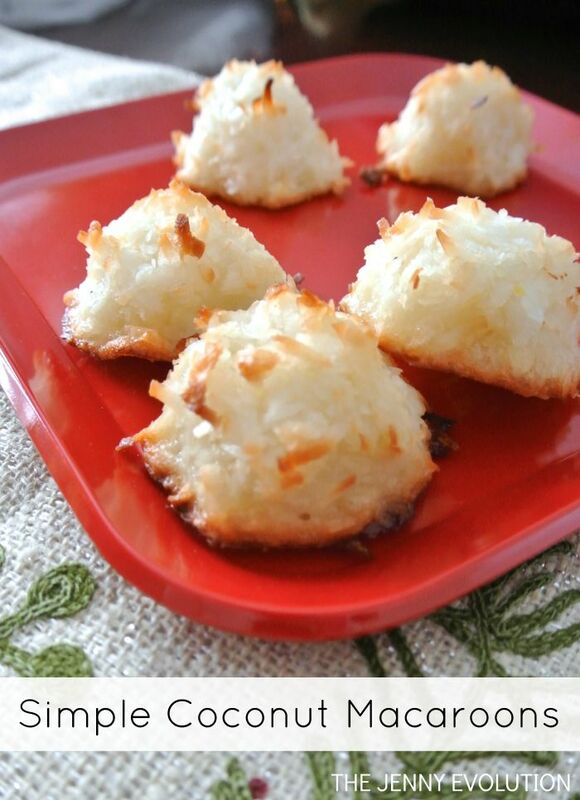 These coconut macaroons are my absolute favorite cookie to make every holiday season. Just thinking of them makes my mouth water! Yumm!!! These look so delicious! Thanks for sharing your recipe with us at Share The Wealth Sunday! I love coconut so I need to make these soon! Thanks for linking up at the Best of the Blogosphere Linky party! These are my favorite Christmas cookies to make every single year! These look great and I know my hubby would love them! Thanks for linking up at the Weekend Wind-Down Party! Do you think honey could work in these? To be honest, I hadn’t thought of honey. I think it could add extra moisture, but if you like your macaroons that way, it could be a win. Never hurts to try! But if you do, please please come back and tell me how they came out. These were disastrous. When I kook at other recipes, the egg whites are normally whipped. They do not whip if the sugar is added first. The liquid pooled out of these cookies as they cooked. Oh that’s a bummer. I didn’t have a problem making these at all… make them every holiday season. I had the same results, if I could post pictures I would. Followed the recipe to the T even looked up frothy to make sure, and they still came out oozing. Wondering if you added sugar while beating egg whites how it would turn out, that and beating until soft peeks form. Ah – good old fashioned traditional macaroons!! Thanks for sharing on the What’s for Dinner Link up! These cookies look yummy! Thanks for linkin’ up with What’s Cookin’ Wednesday! These were easy to prepare and look tasty, but I can’t get them to release from the parchment paper. Should I have used something different? No… I used parchment paper and just lifted them off with my fingers (not a spatula). These look amazing! I can’t wait to try… I have had trouble finding a good recipes for these! 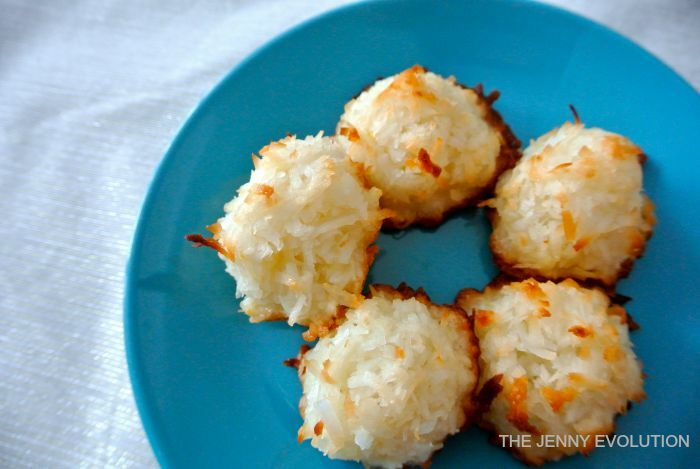 Oh how I love coconut macaroons! Thanks for sharing at the What’s for Dinner party!